Since we have just released EventSentry v2.90, we’ll be blogging about the improvements and new features in the coming weeks. Since event log monitoring is how it all started, my first post in this series will be about the improvements and new features in our event log monitoring engine. The biggest change in v2.90, in regards to event log monitoring, is of course the native support of the Windows Vista and Server 2008 event log API. As many of you know, Microsoft introduced a new API for event log monitoring while still keeping the legacy API in place for applications that don’t support the new API yet. EventSentry v2.81 uses this legacy API with some work-arounds to monitor the new event logs, but I highly recommend upgrading to v2.90 if you’re monitoring Server 2008 and/or Vista event logs. Upgrading will result in less overhead and better formatting and presentation of events since the agents now access the event log with the native API. 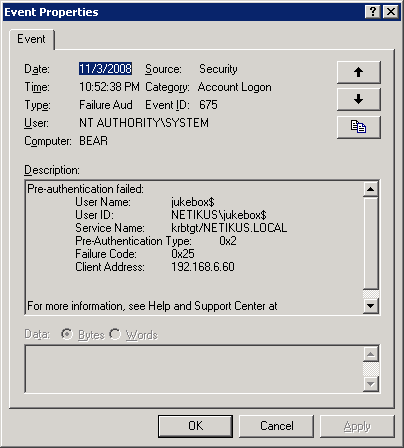 Naturally, the event log backup feature will backup event logs in the new evtx format on Vista/Server 2008 computers. 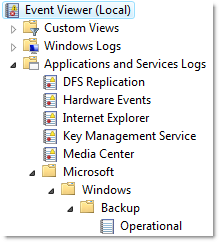 The new version also supports the new Operational event logs which are displayed under Application and Services Logs/Microsoft, for example the Microsoft-Windows-Backup/Operational log. These operational logs need to be configured as custom event logs in EventSentry, by specifying the full path (e.g. Microsoft-Windows-Backup/Operational) as the name of the custom event log. Please see one of my previous posts about the event log changes in Vista (which also applies to Server 2008) for more information. Note that support for the new event log API is transparent, and there is still only one executable of the EventSentry agent for all versions of Windows. EventSentry v2.81 did not format some events on 64-bit editions of Windows correctly, and we have resolved this problem in 2.90 which renders all events on 64-bit machines correctly. The EventSentry agent still runs as a 32-bit application in 2.90, but we have long-term plans to supply a 64-bit agent for x64 operating systems. Filter Timer filters allow you to ignore events that would otherwise trigger an alert, if they are followed by another event within a preset time period. For example, if an event indicating that a critical service is stopped is being immediately followed by another event indicating that the service is running again, then a filter would allow you to suppress both events. Previously however, filter timers had to be setup exactly for each event pair. This meant that if you wanted to use a filter timer for 5 services, then you would have to create 10 events. Starting with 2.90 you only have to create 2 events now, as long as the first event and the clearing event share the same order of insertion strings – which is usually the case. Selected actions (e.g. email, pager) now include the ability to log their trigger history – that is every time they are triggered by an event – to the database. 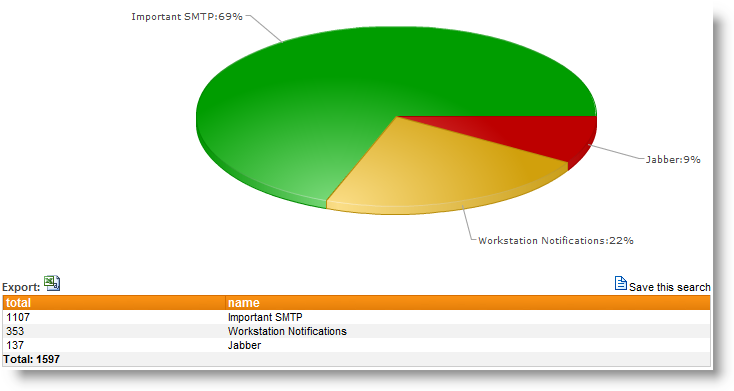 This helps you confirm that a notification was in fact performed, and also gives you the ability to gather statistics about which actions are being triggered and how often. As you can see in the screenshot above, the Kerberos failure code of 0x25 is automatically explained as “Clock skew too great”. You can take a look at version history as well for a complete list of changes and new features in the 2.90 release of EventSentry.